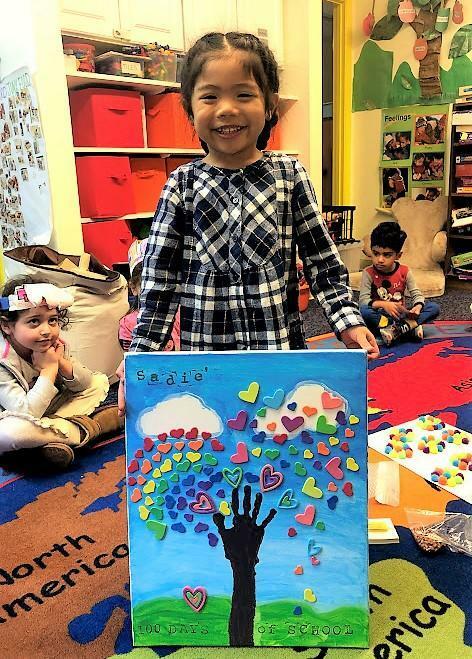 What better way to celebrate the 100th Day of School than by creating stunning art work? Our very own Sadie created this beautiful piece of art. Hey, hey! We're T.K. !